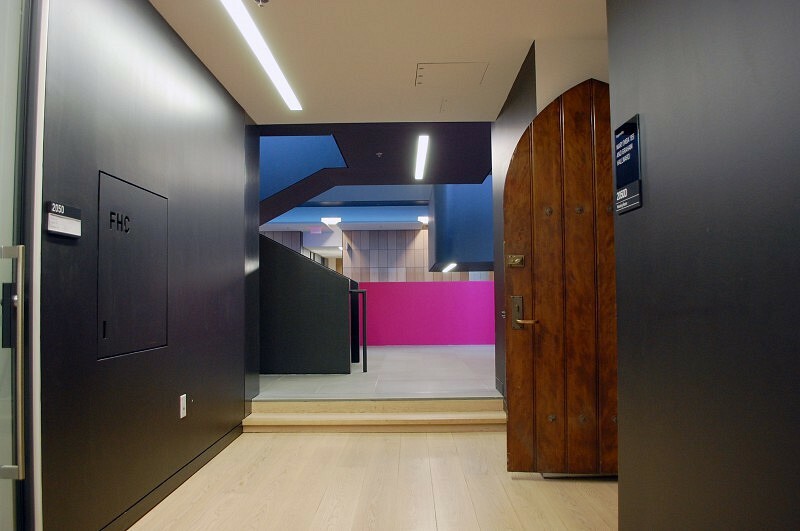 Located along the central spine of the University of Toronto’s St. George Campus, the Rotman School of Management needed to expand to accommodate growing programming, student body, and faculty. 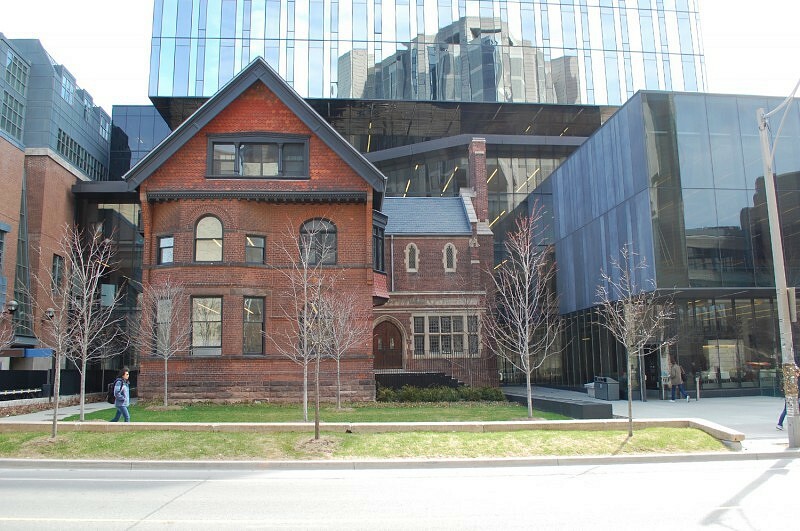 The expansion of the school incorporated the designated heritage building known as the John Downey House at 97 St. George. 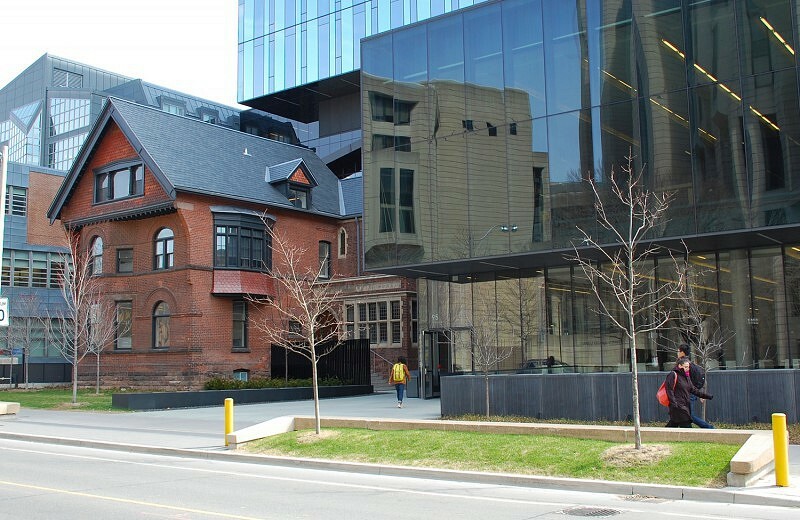 Additional classroom, faculty, and student spaces are organized in a new building behind and to the south of the Downey House, in a podium along St. George, and a 10-storey structure in the north-east corner of the site. Built in 1889, the John Downey House is a construction typical of the time and location. It contains elements of both the Richardsonian Romanesque and Queen Anne Revival styles, referred to as the Annex Style, a blend of American and British architectural influences often associated with the well-to-do. 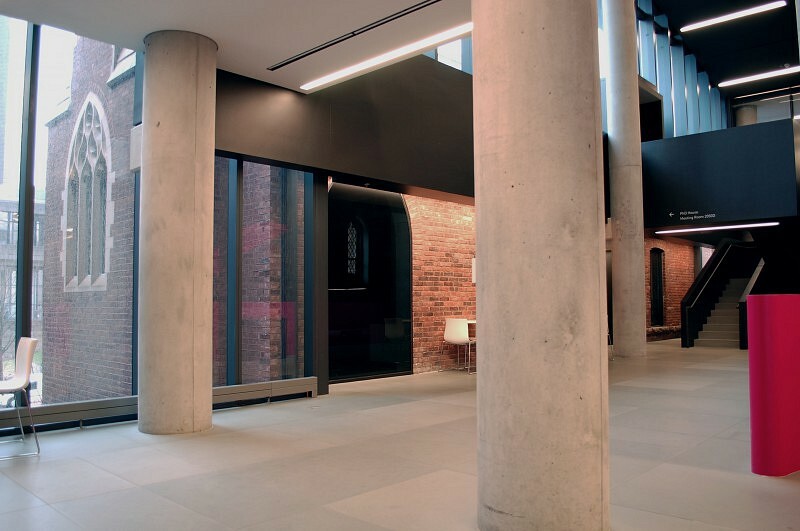 The building places an emphasis on elaborate masonry and incorporates a prominent gable, woodwork and dormers. 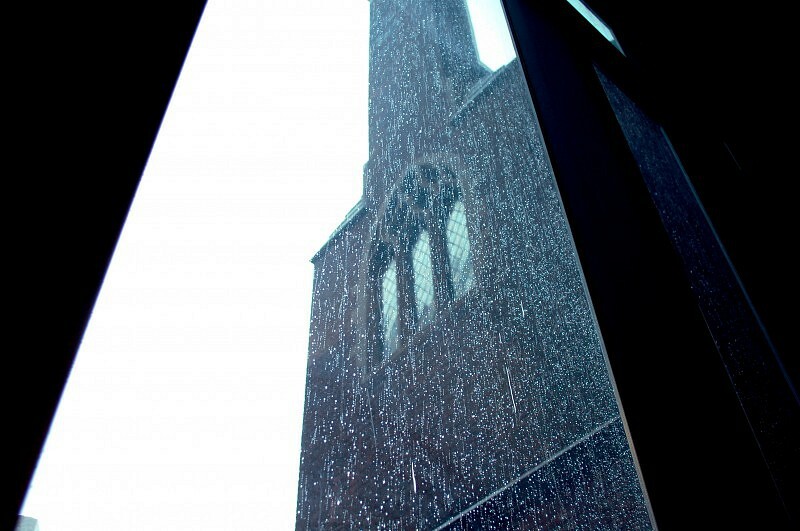 In 1929, the Canadian School for Missions enlarged the building with a two-storey addition to the south in the Collegiate Gothic style. 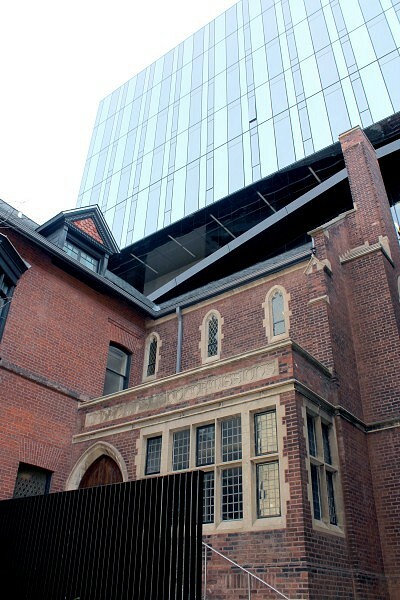 ERA was retained by the University of Toronto to participate on the design team to develop a conservation strategy for the former residence within the new complex and prepare a Heritage Impact Assessment and a Conservation Plan for the property.